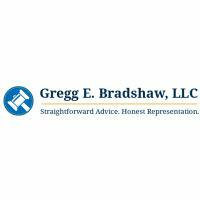 Gregg E. Bradshaw, LLC, is a law firm in Puyallup, Washington, that focuses on cases relating to family law, criminal defense and personal injury. Our owner, Gregg Bradshaw, has been practicing law for more than 20 years and is experienced in handling all aspects of your case, from negotiating a settlement to proceeding to trial. Mr. Bradshaw is a graduate of the University of Puget Sound Law School in Tacoma, Washington, and his undergraduate degree is from Brigham Young University. We will analyze the details of your case and design a legal strategy that is well-suited to your needs and preferences. Our underlying goal is to provide the most effective legal representation for your time and money. We go to bat for our clients and we're not afraid to take a case to court, but we also know that sometimes you can save yourself months of legal feuds by reaching a settlement out of court. Our office is right next to Puyallup Municipal Court and we are in court there often, so we have frequent contact with the local legal system as well as the statewide Superior Court system. Gregg E. Bradshaw has been practicing law for more than 20 years, and he is committed to helping you reach the legal outcome you're seeking. To find out how we can help with your case, contact us online or call us at 253-256-1255 and schedule an initial consultation in our Puyallup, Washington, office.